ONCE AGAIN…IT’S TIME TO MAKE A GLASS OF MERRY CHRISTMAS! 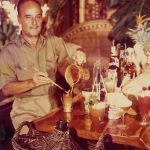 Looking for exciting cocktails to add to your holiday menu? Forget about mixing up another batch of Grandma’s old eggnog. From what we’ve discovered, this thick, soothing drink is just the thing for fending off winter’s chill and ringing in a rosy holiday. In fact, this holiday cocktail recipe is so good that it could very well become a new Christmas tradition. So here it is. 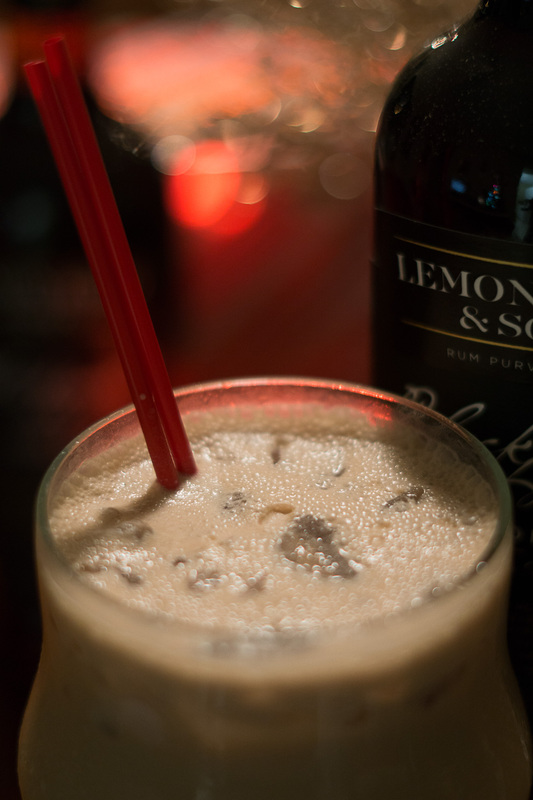 A creamy after-dinner drink made with one of the world’s tastiest spiced rums, fresh cream, and dusted with freshly grated nutmeg for the perfect finish. Just get some Lemon Hart & Son Blackpool Spiced Rum at your nearest liquor store, and follow the simple recipe below. Blackpool’s near-opaque density and remarkable flavor makes it the perfect choice for adding complexity to any holiday-style cocktail. Method: Flash-blend with 1 cup of crushed ice for 3-5 seconds. Add additional ice if needed. Pour unstrained into a fancy chilled glass. Dust with nutmeg. * Absolutely no substitute. 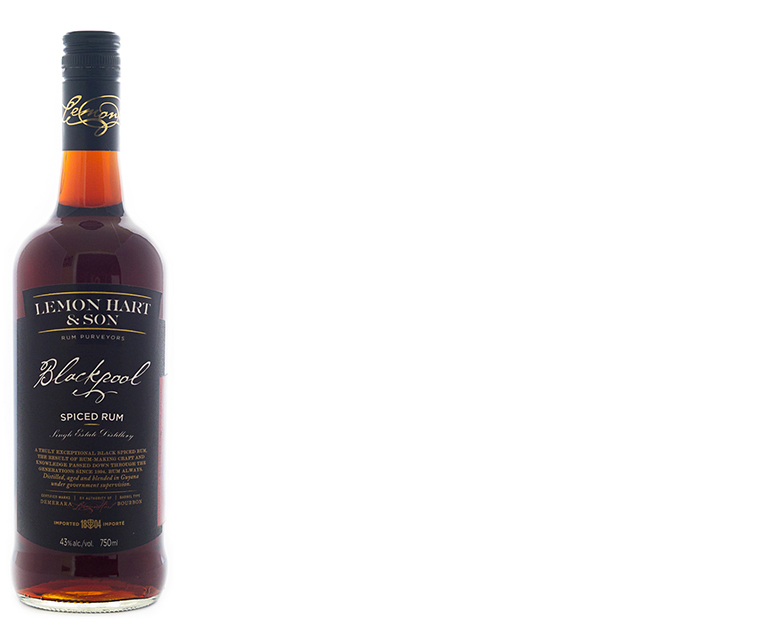 Lemon Hart & Son’s Blackpool Spiced Rum is more dry than sweet and imparts a particularly distinctive ‘oaky’ profile, which makes it totally unique. Kahlua Especial is the high-octane version (70 proof) of regular Kahlua, and is one of our ‘secret’ weapons we use to add some extra firepower to our drinks. Be sure to use Lemon Hart & Son Blackpool Spiced Rum! 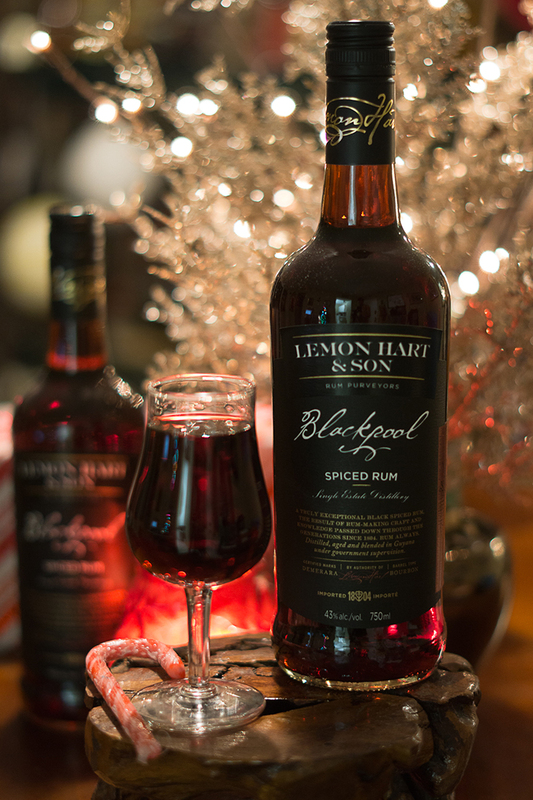 For it is the spiced rum for a truly magnificent glass of Merry Christmas! You see, there’s simply no finer spiced rum on the market. Blackpool is crafted only from top-grade Demerara molasses. And from Guyanese water from the legendary east bank of the Demerara River. Then it’s aged up to 5 years to the peak of rich, full-bodied flavor in used American oak barrels. That’s why Lemon Hart & Son’s Blackpool Spiced Rum comes out consistently choice and mellow. And that, in turn, is why Hart’s Delight never tastes better when you make it with Lemon Hart & Son Rum. Sweet, rich, and creamy, Hart’s Delight is one of those cocktails for discerning adults only. An original, fireside-style drink that features vanilla, dark chocolate, high-octane coffee, and coconut flavors, with a spectacular and unexpected shot of cool peppermint to calm the nerves. The addition of 70 proof Kahlua Especial really does kick like a mule, however, the slight bitterness of the coffee is tempered by the heavy cream, and rounded out by the sweet coconut. The spicy end note is courtesy of the Blackpool Spiced Rum, which is more dry than sweet. So, why settle for the store-bought stuff when you can make a rich, decadent version at home in 5 minutes? 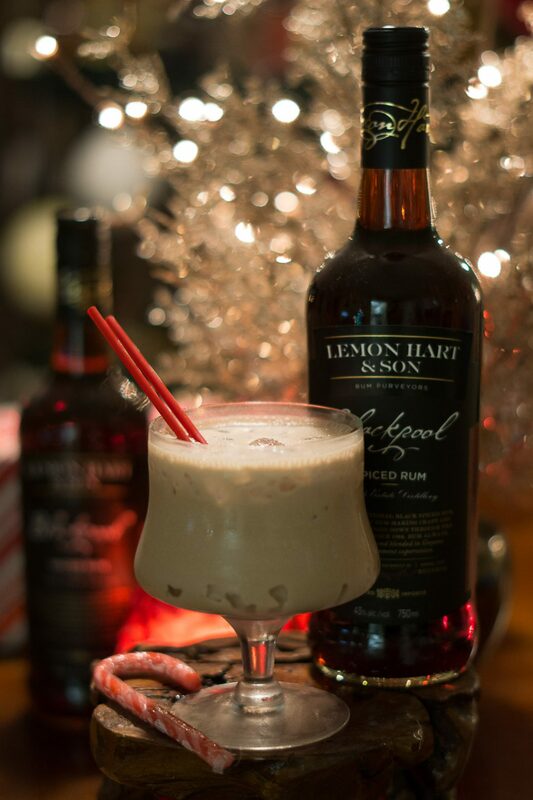 Frothy, rich, and creamy, Hart’s Delight is a wonderfully festive twist on a classic eggnog featuring a world-class spiced rum. Eggnog is an English creation that became fantastically popular, especially among the wealthy, and closely associated with Christmas. 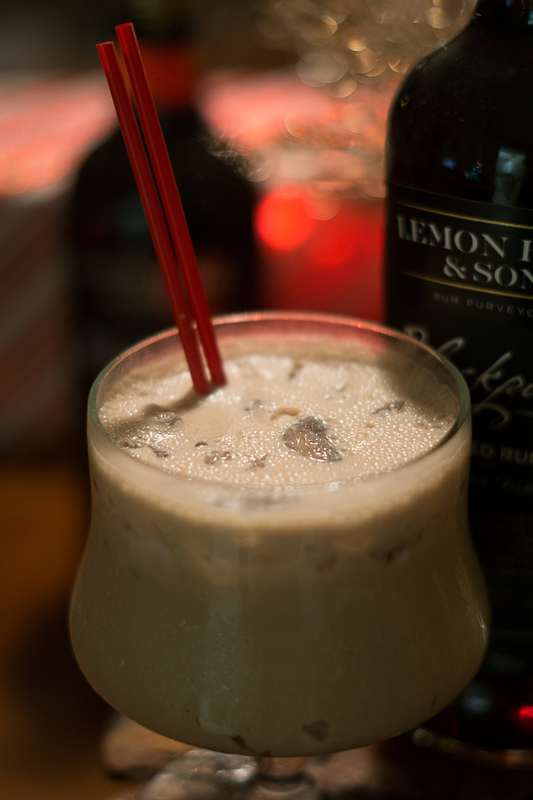 The British passed their fondness for nog (British slang for ‘ale’) to the Americans, who customized the beverage by spiking it with native spirits like bourbon and rum, which were popular at the time. TRIVIA: Eggnog traces its roots back to a 14thcentury English drink called ‘posset’. Posset was essentially a drink of hot milk curdled with ale, and over time, eggs were added; a step towards eggnog as we know it today. Hart’s Delight featuring Lemon Hart & Son’s new Blackpool Spiced Rum will be sure to spice things up this holiday season! Drunken Tiki ® is a Registered Trademark. All Rights Reserved. Please enjoy your exotic moment responsibly.